The lesula as a member of the Cercopithecini family, called commonly guenones was identified by genetic analysis. The new species was given the scientific name Cercopithecus lomamiensis, in reference to the Lomami River. 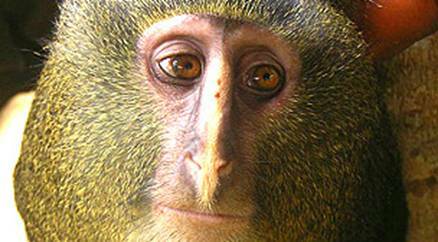 Its appearance has similarities with the face L monkey (Cercopithecus hamlyni), also found in the region. But the lesula color is lighter and their songs are characteristic.